Towson, MD - After a drawn out and acrimonious legal battle, a recently expanded Maryland Chabad House may soon be demolished for having violated a setback requirement that had been imposed on the property, unbeknownst to its owners. 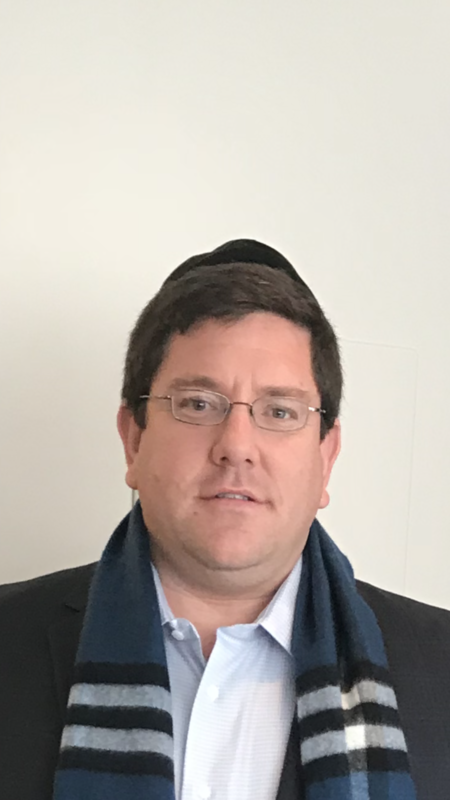 Now, noted religious rights attorneys, Nathan Lewin, joined the case on behalf of Friends of Lubavitch and believes that Chabad has a strong claim under the Religious Land Use and Institutionalized Persons Act, known as RLUIPA. 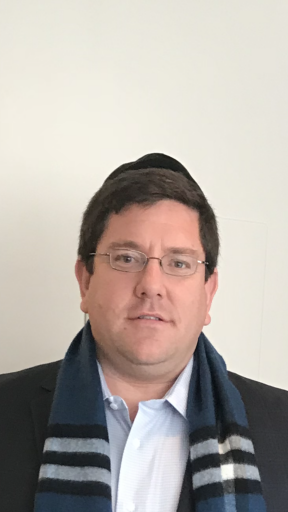 “There is no question that from the very outset, when Rabbi Rivkin went around looking for a property that it was being bought for a Chabad house, where shluchim could host students,” Lewin told VIN News. 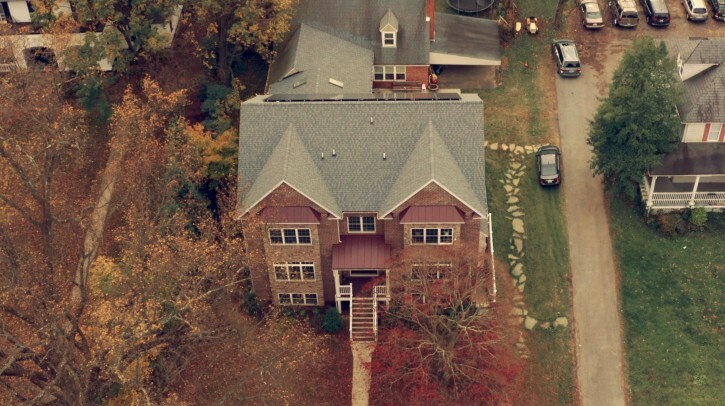 According to court filings, Chabad emissaries Rabbi Mendy and Sheina Rivkin moved into the approximately 2200 square foot, three bedroom home at 14 Aigburth Road in Towson purchased by Friends of Lubavitch in 2008, hoping to do outreach with local Jewish students at nearby Towson University and Goucher College. Six years later, the Rivkins held a ceremonial groundbreaking for an addition which would allow them to better serve the many visitors who flocked to their home and applied for a permit for an over 4,400 square foot expansion that they classified as “parsonage” designation. That permit was ultimately denied and Friends of Lubavitch submitted virtually identical plans in 2016, this time referring to the proposed construction as a residential addition to accommodate the couple’s growing family. Concerned neighbors who feared that the expansion would be used as a community center and not for personal use protested the plans, citing decreased property values and existing problems including parking problems and large amounts of trash at the Chabad House which would only be exacerbated if the project were approved. Construction began in May 2016. The Aigburth Manor Association, which represents residents’ interests, appealed the judge’s decision claiming that the three story extension which would be located in front of the Rivkin’s house and a covered breezeway would connect the two. But Friends of Lubavitch continued moving ahead. The 4,400 square foot expansion would be used to accommodate over 40 to 80 guests for some Jewish holidays and would include five bathrooms, five wet bars (two are washing stations, a Pesach kitchen, two sinks in the bedroom areas), a mikvah with two additional bathrooms, a meat kitchen, a dining room with seating for 50 people. Just weeks later, an area resident discovered the original 1950 deed for 14 Aigburth Road which included a setback covenant requiring any structure on the property to be located at least 115 feet from the street. Next door neighbor Robin Zoll, the driving force behind the opposition to the the expansion, and the Aigburth Manor Association notified the county of the restriction and advised them to issue a stop work order since the addition was located less than 60 feet from the curb. When the county refused, Zoll and the Aigburth Manor Association sued Friends of Lubavitch for violating the covenant. The court also refused to issue a restraining order and stop the construction however in April 2017 the court ruled that the completed expansion had caused Zoll’s property value to decrease by $17,075. The judgment discounted Rabbi Rivkin’s testimony about potential financial losses that would result if the property were demolished saying that his statements about identifying donors were “evasive and not credible,” ordering the expansion to be removed by March 1, 2018. The legal wrangling has continued, with Friends of Lubavitch proposing a resolution where the entire structure would be moved back 62 feet on the property in order to be in compliance with the setback covenant as reported by The Baltimore Sun (https://bsun.md/2AgFxiq). Dovid Firestone who launched a major campaign of public awareness says he believes the demolition is purley on Anti-religion and Anti-Semitic grounds. But according to Dovid Firestone, who built the expansion’s mikvah, those efforts and a proposed generous financial settlement have both been rebuffed. Firestone said that a 45 day demolition order was signed on the house on November 2nd with demolition crews already arriving at the house to prepare for the upcoming razing. Hoping to raise both funds and public awareness while also saving the Chabad House from destruction, Firestone got involved with a crowdfunding campaign which has already raised more than $75,000 for Chabad of Towson. An expanded Chabad house will cause untold hardship to neighbors . There will be way too much garbage and congestion . Chabad should try to understand this . Seriously? The area is pretty rural and since when do Jews have a cornerstone on garbage and congestion? This isn't located in some densely populated urban area with double parking and what have you. I am sure if it were a Muslim group or some left-wing LGBTQ group, you would welcome it so as it appears all-encompassing. That’s something that could have been argued during zoning hearings, etc., not something that should be discussed after the building has been built, and it’s certianly not a reason to demolish an already constructed Chabad House. Again, this isn’t about asking for permission, this is about destroying a building that was built with permission because now the neighbor is upset that her property values dropped by 5%. This court decision is unprecedented and horrifying. I doubt about the Muslims but the " LBGTQ group" probably cleaner, and more sober. Who was the zoning board that approved 5 bathrooms and a million other things for a "residential" expansion? OTOH, if they did, hard to renege on that. They want to move it to comply with the law. Firestone is local and he prob is correct! once again, our dear Judith comes out for our religious brethren. Did I say FOR? I meant AGAINST. My mistake. "That permit was ultimately denied and Friends of Lubavitch submitted virtually identical plans in 2016, this time referring to the proposed construction as a residential addition to accommodate the couple’s growing family." So they lied on the permit! What kind of a supposedly religious person lies like that! Does Hashem expect them to lie and cheat to do their will! The above notwithstanding, at this point it makes no sense to make them destroy their building; not that they deserve to be ones to teaching religion, since they are liars and not trustworthy. You’re just as stupid as hashomer. The intention was to turn the property into a shul and quasi hotel , not just for their growing family . “ "That permit was ultimately denied and Friends of Lubavitch submitted virtually identical plans in 2016, this time referring to the proposed construction as a residential addition to accommodate the couple’s growing family." Judith your comment is causing untold anguish to sensible people reading of your blatant discrimination and bias. How can anyone consider it justified to destroy a Chabad house that was approved for building? Hey so clam and unhyper when ut comes to frum jews? So this happening in the liberal city of Baltimore not in trump country? But libs are all great??? And as long as its frum jews its all good??? You're right, I wouldn't want to mix honestly into yiddishkeit, Chas ViShalom. No way!!!!!! This can’t be allowed to happen in America. This can set a dangerous precedent. Today they are messing with Chabad but no one is immune to anti semitism. Everyone must protest this horrific injustice! Please advise who can I send a letter to. Is there a petition to protest this blatant discrimination?! Few things to consider: The neighbor 2 houses to the left is way closer than 100 or even 50 feet from the road, 4 houses over is an assisted living facility, diagonally across the street is a large apartment complex, around the corner is a large high school, around the corner is a church, around the corner is another large apartment complex. It is probably like what the US Attorney General was taking on in Woodcliff Lake NJ. Google Jeff Sessions Woodcliff Lake for the info about that story where the mayor reportedly said they were “trying to turn the borough into a little Jerusalem". This situation of communities allowing other religions to have their houses of worship but denying ours is not new. It has happened many times and G-d willing as in the past Hashem will help and we will be allowed to practice our religion freely. They want a hostel but do not want to pay for land that is properly zoned for such a thing. The story repeatedly pointed out the group was seeking a low-cost solution that would cut corners. Homes with 5 bathfooms are quite common in Brooklyn and neighborhoods that are home to large Jewish families. It is obscene that this is happening after all permits were granted. I wonder if the complaining neighbor knew about this all along. I can bet the community has other homes that are not compliant and I really wonder if they will also have to demolish. Unless i misread, they they applied for permits to extend the residential house after their application for a shule was turned down. So they lied when applying? I don't blame he neighbors,whether they are goyim or yidden, for being against the Chabad House, on their street; people want peace and quiet, and they don't want an increase in vehicular and pedestrian traffic. Look at the noise which would be produced on Purim, as well as on Simchas Torah. Its amazing how people just assume things that a quick google search could clarify! Why would you assume they lied? Their original permit request was for a PARSONAGE addition. Parsonage means a house for a clergy member and does NOT mean a shul. 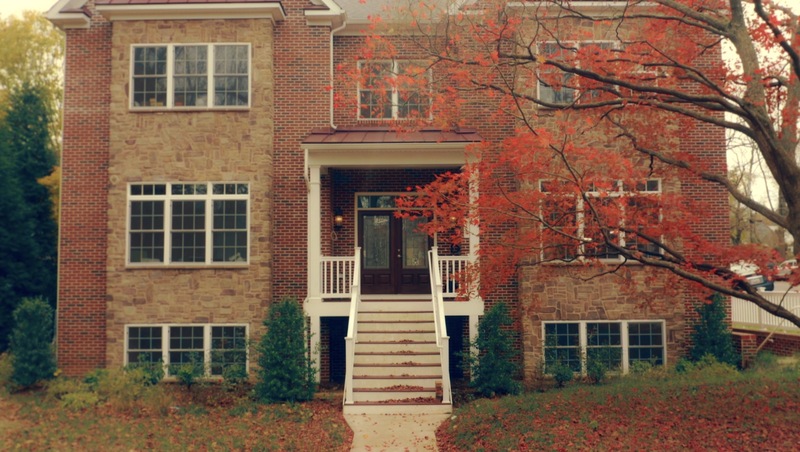 Parsonage comes with tax breaks. When that permit was denied they requested it as just a residential addition. They didn't lie about anything. The city refused to allow them to build it as religious housing and only allowed them to build it as residential housing. 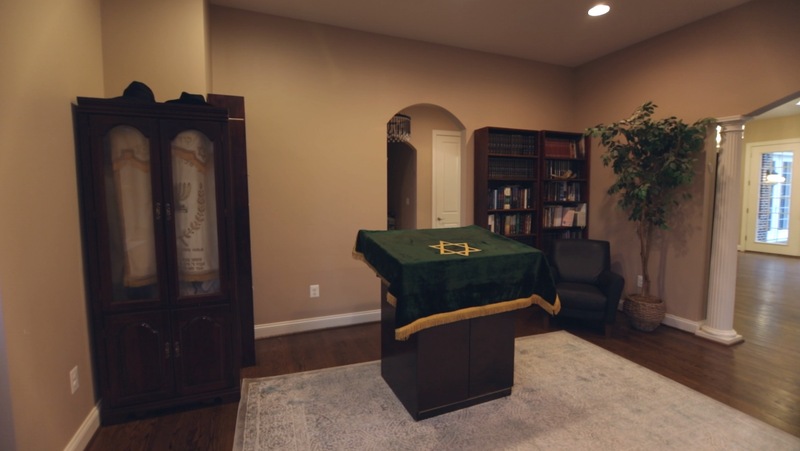 Plus this is not a regular chabad house. This is chabad on campus- focusing on college students. Every chabad on campus has rooms for students to sleep over for shabbos. Its not a hostel or a hotel. Plus who decided that Simchas Torah and Purim would be loud? Chabad on campus has a strict no alcohol policy. Plus clearly u didnt read the previous comments about how this area is not just quiet blocks of townhouses. I have to agree with #20 and #25. I am a Virginia attorney and Chabad friendly. I am not a Maryland attorney. Both states, as far as I have seen from case law, remain common law states. Property rights will likely trump most other considerations. And deed restrictions from 1950 are fairly young as real estate law goes. any of the subject property owners, and only those owners, could bring an action to cure a violation of the restriction. - Exactly what property/parcels are included under the 1951 deed? - Are any of the expansion opponents holders of any of those parcels? - Has the deed restriction ever been explicitly rescinded? The answer here is likely not, since mortgage holders are not inclined to give away property rights, such as the right to enforce a covenant intended to protect the look/ambience of a neighborhood. - Can a deed restriction be voided/waived by any prior failure to enforce the covenant? Again, probably answered in the negative. Generally, Neighbor A's decision to not enforce will not prevent Neighbor B from bringing a similar claim. Does state action (here, local ordnance/regulation activity) trump a deed restriction. My initial answer is likely not, as deed restrictions are generally sacrosanct. I see two exceptions to this: if a restriction (i) violated statutory or constitutional law when enacted, or (ii) ran afoul of a later constitutional law ruling. Examples of such voided restrictions would be those prohibiting sale to persons of "African or Abrahamic descent." A Virginia title insurer would likely not list these as exceptions to coverage. [Betcha your title chain in state x has one of those restrictions]. The Chabad House is not without recourse. It could file a claim against a title insurer if an owner's policy was purchased. Or possibly make a claim against the title examiner if the statute of limitations has not yet run. I think a Maryland state court, or federal court applying Maryland law, would view this matter as a straight-forward real estate law matter and would quickly reject any federal religious freedom considerations. Someone needs to consult a highly respected Maryland real estate attorney as step one going forward. To #25- You should get your head out of your a--. Whereas many condo associations, and other institutions have policies against making loud noises and disturbing neighbors, do you really think that on Purim, or Simchas Torah, with hundreds of people gathering outside, after consuming large amounts of alcohol, that such a policy could be successfully enforced? I think not! To number 29 from 25! You clearly did not read my comment. How can you comment on a comment without reading the whole thing?? First of all Chabad on campus does NOT even serve alcohol. Plus simchas torah is never a big deal on campus. Most campus students have never even heard of simchas torah and half the time campus has break then. Judith, are you a witch? I'm a 'Chabadnick' and I also have same question. ( might not) be facts missing. For instance, churches, etc.have done this there, and it was OK.
Who knows about property laws there? We don't. There is no rural area of Towson, MD. Parking is actually pretty limited in that area. I am not arguing for either side, but to try and argue the area is rural shows you have no idea where this is located.